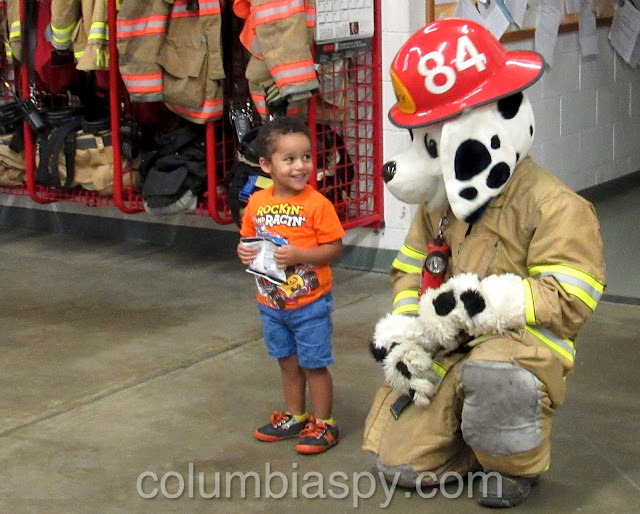 COLUMBIA SPY: Dozens attend CBFD Open House to learn about fire prevention and safety - and to ride the fire trucks! 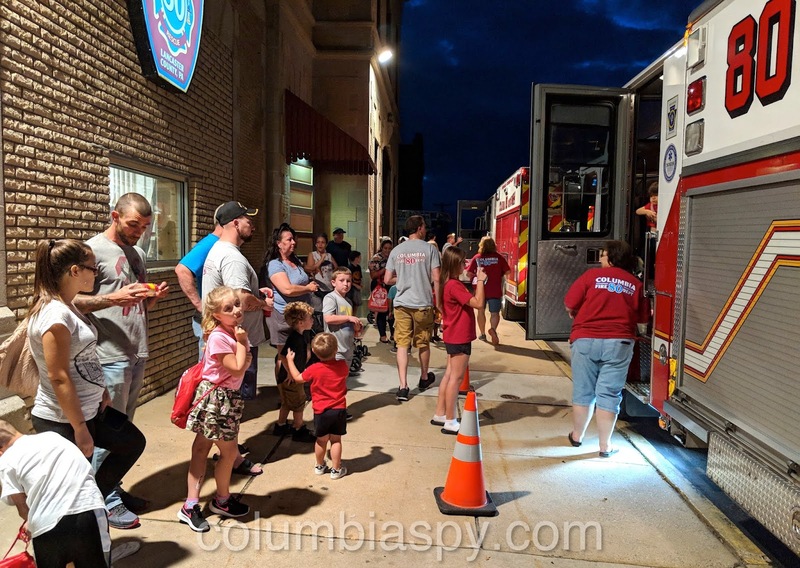 Dozens attend CBFD Open House to learn about fire prevention and safety - and to ride the fire trucks! 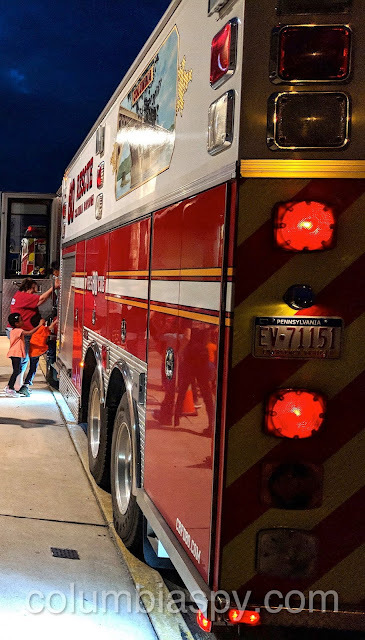 Riding on a fire engine is a fantasy for most kids, but last night it became a reality for those visiting Columbia Borough Fire Department's Open House. 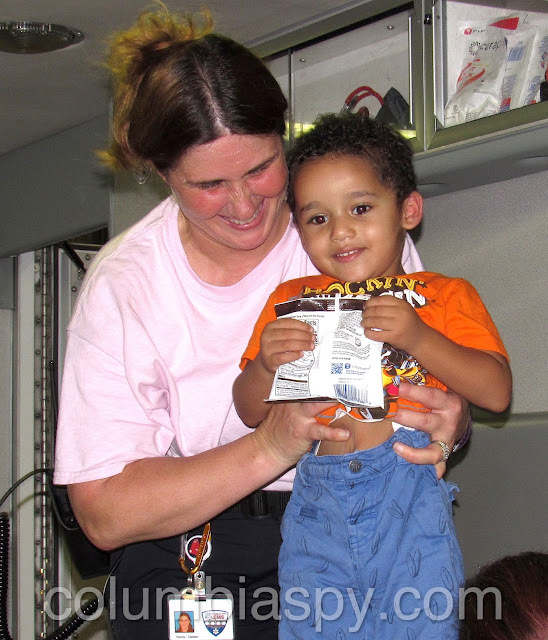 Before climbing aboard the trucks, however, children collected several fire safety related items to fill the backpacks they received there. 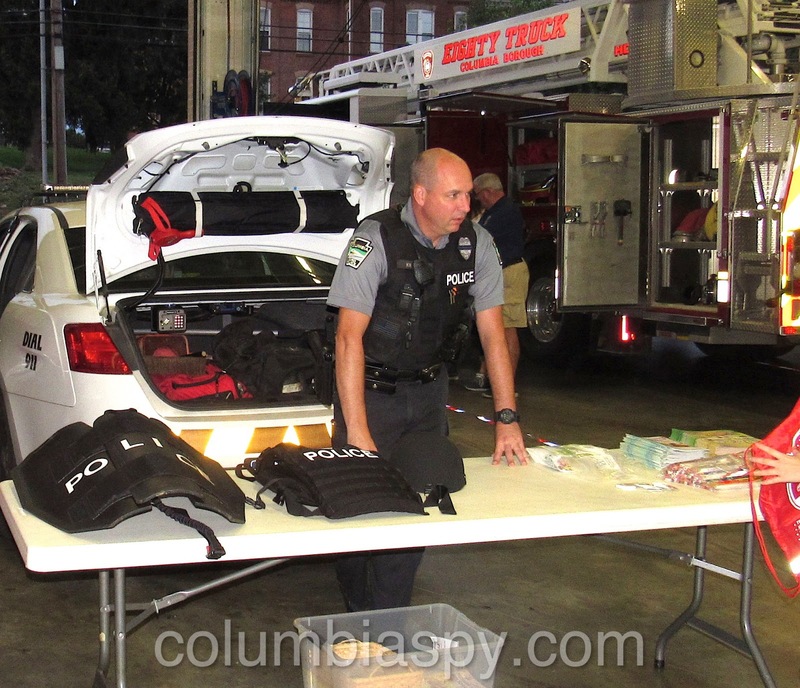 They also got close-up looks inside an ambulance, police car, and a QRS vehicle. Sparky the Fire Dog greeted guests, many of whom posed with him for photos. 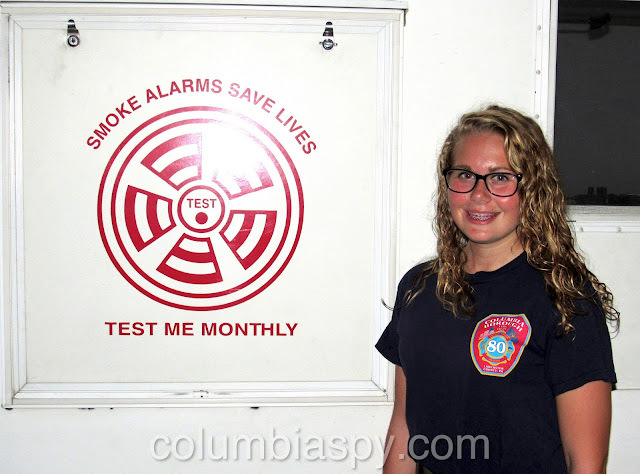 Although activities were designed to be fun, education remained at the forefront to teach children (and adults) about fire prevention and safety. Several kids even braved entering a fire safety trailer filled with smoke to learn how to escape a fire. Free food and refreshments were also served at the event.